A sandwich maker helps to seal in the edges. You wun have to worry about the fillings spilling out. 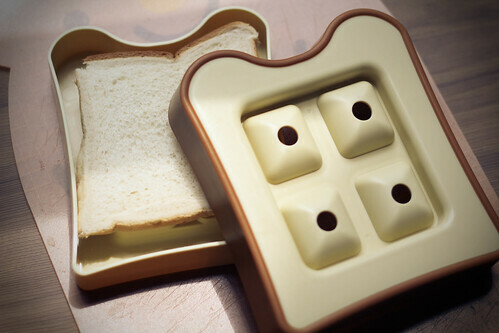 Sandwich makers come in different shapes and sizes. However, they can be costly. 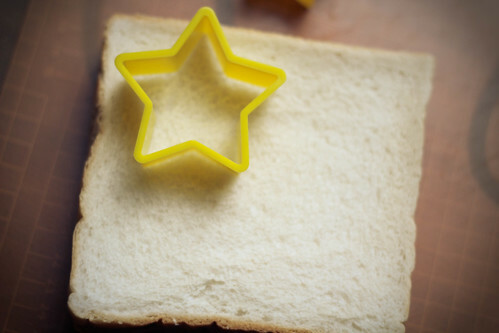 The good news is you do not need a sandwich maker to make a clean sandwich with closed edges. 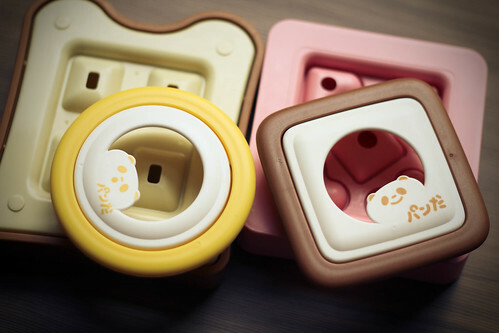 You can also use other tools to seal your sandwiches, and these tools would probably be readily availabe in your house. 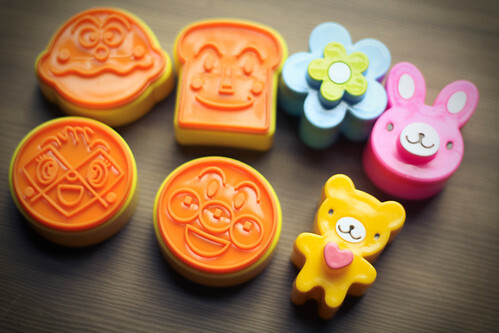 These are small bread molds, they can seal the sandwiches as well, you can also imprint your bread with the stamp to get cute characters. 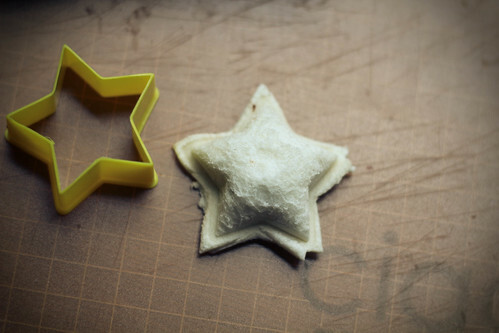 Alternatively, you can also use your cookie cutters stamping portion to imprint on your pocket sandwiches. 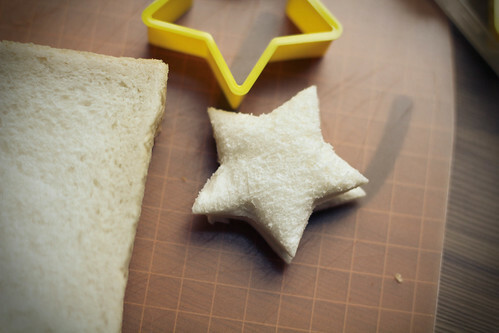 But do note that cookie cutters wun be able to seal the sandwiches. 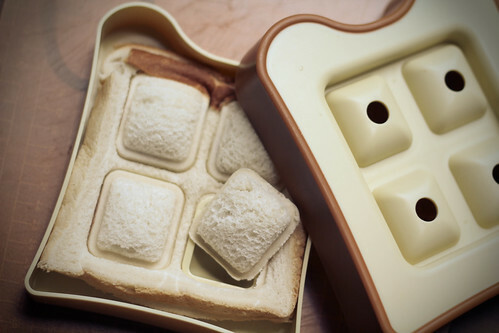 To use the bread mold, you open it up and put a piece of bread on it. 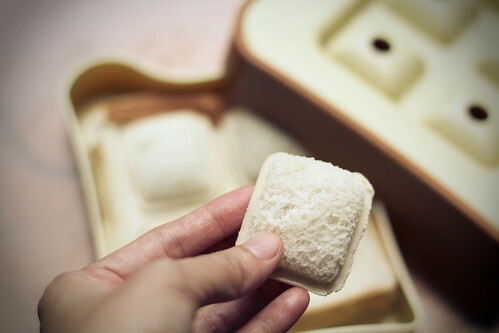 Close the mold gently to get an imprint. Put the filling in the centre of the bread. 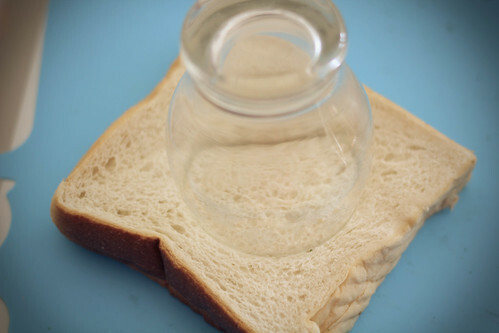 Do not overfill, else you wun be able to seal your bread nicely. Put another bread on top and pop into the microwave for a few seconds. This helps to make the cutting/sealing process easier. Then, you press the upper mold down. Open the mold and viola, you get your pocket sandwiches. Fret not, if you do not have a sandwich maker. 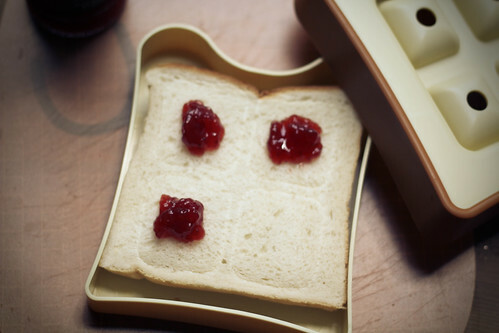 That is coz you can also use tools like varying size cutters, glass and pudding cups to seal your sandwiches. 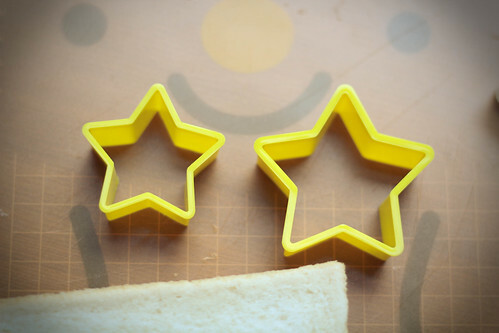 To use cookie cutters to seal sandwiches, you need a varying size set like the one in the photo above. Take out 2 cutters of different size. 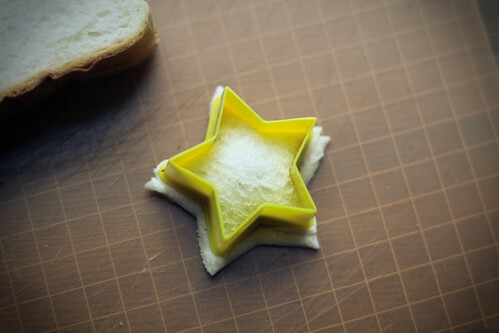 Cut out your sandwich with the bigger cutter. Put in your filling. Same rule, do not overfill. 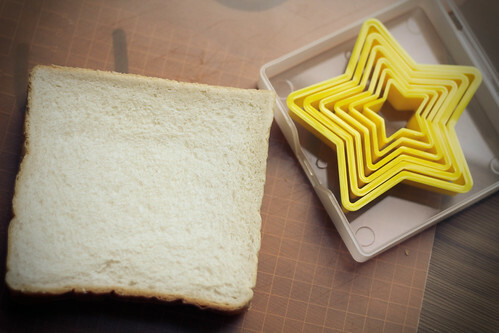 Seal the bread using the smaller cutter. The trick is to use the blunt edge to press, so that your bread will not get cut. Love bento thanks for tutorial. My little blog is having a contest for giveaway of stevia products cause I also like to cook sugar free. If you or your readers may be interested please post it for me my link is http://mommasays.net/1174/contest-nunaturals-products-giveaway/ I would appreciate it. 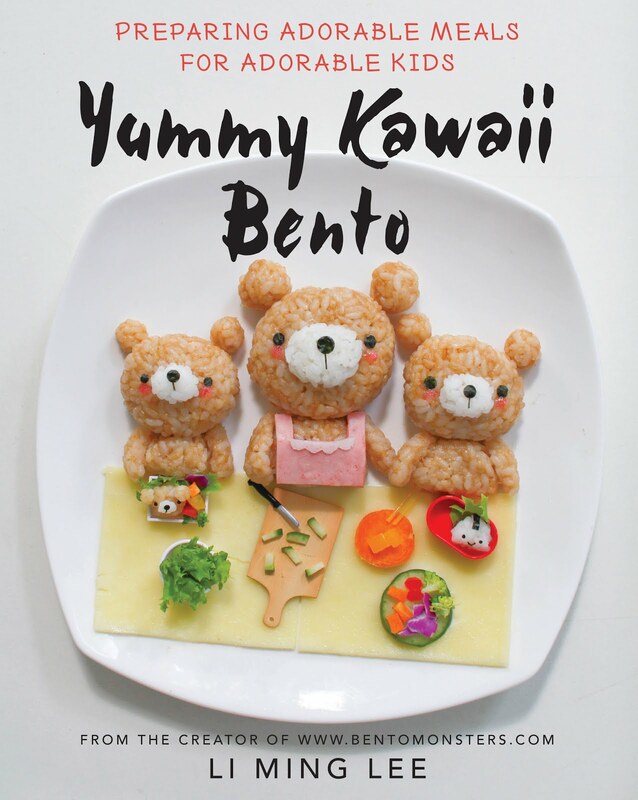 Im a big fan of you keep up the cute bentos! 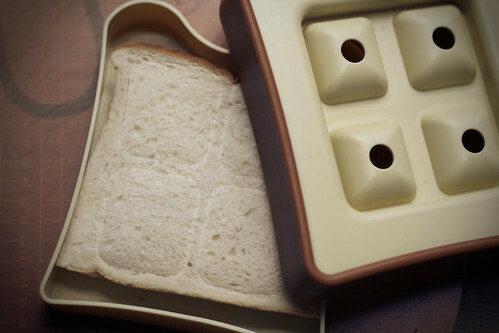 where did you buy the sandwich makers and small bread molds? cute! Oops, typo, not 'yip' but 'I'.